Walton County (pop. 55,043) is east of Okaloosa County. The only other Walton County is in northern Georgia. The county was named for George Walton (1786-1859), secretary of Florida Territory from 1822 to 1826. His father signed the Declaration of Independence. 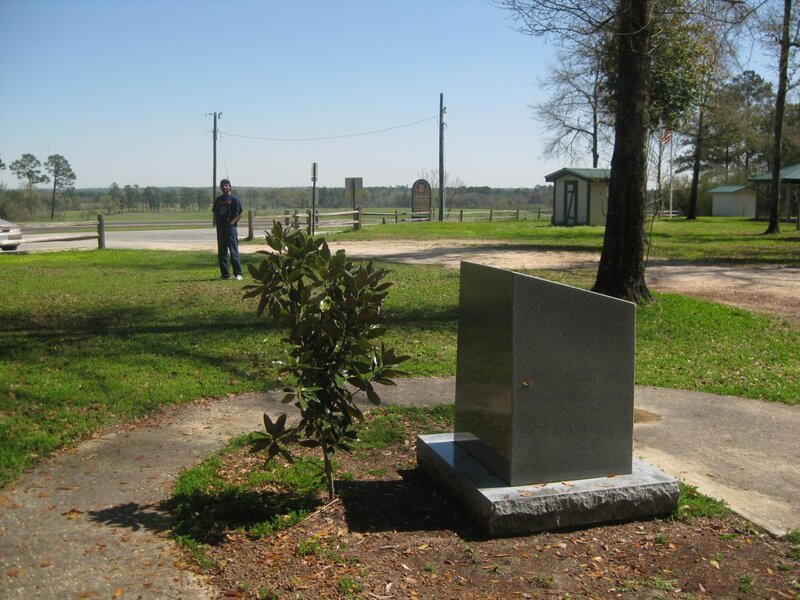 Britton Hill (345 feet), in the northern part of the county, is the highest point in Florida. It’s the lowest high point in the U.S. The county seat of Walton County is DeFuniak Springs (pop. 5,089). The city was named for Frederick R. De Funiak (1839-1905), who served as president of the Pensacola and Atlantic Railroad. DeFuniak Springs was established as a destination resort on the railroad, serving as headquarters of the Florida Chautauqua Association. The Florida Teachers Association was founded there in 1886. Activities were centered on DeFuniak Lake. 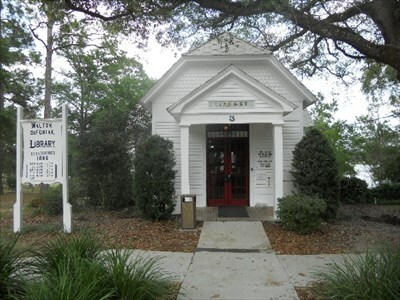 The Walton DeFuniak Library (1887) is the oldest library building in Florida that is still operating as a library. 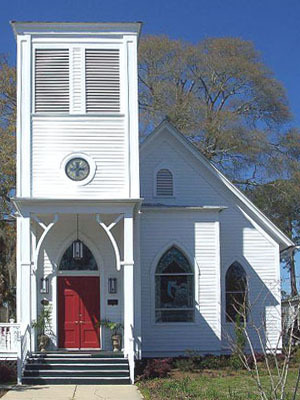 St. Agatha’s Episcopal Church in DeFuniak Springs dates from 1896. 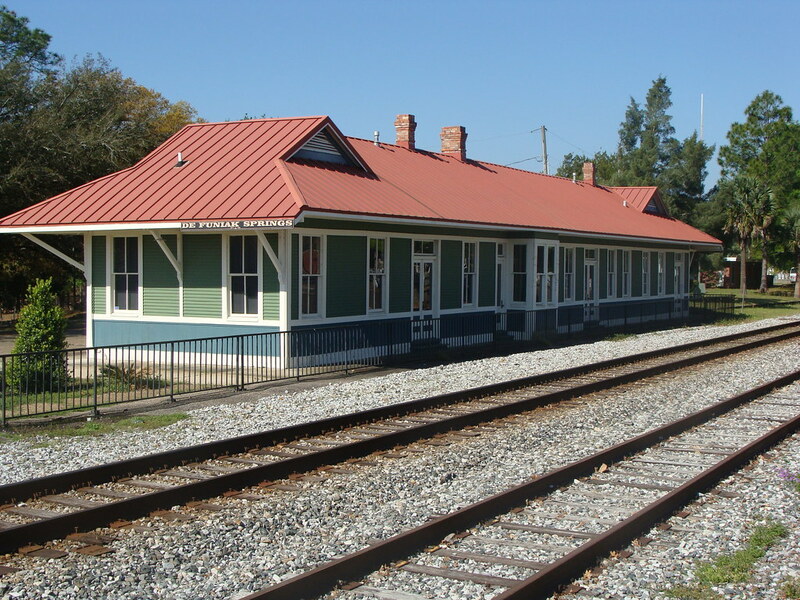 The Walton County Heritage Museum is in the former Louisville and Nashville Railroad depot. South of DeFuniak Springs, on the Gulf of Mexico, is the unincorporated community of Miramar Beach – which is nowhere near the city of Miramar, located in Broward County in South Florida. 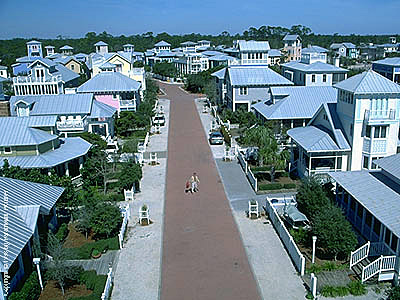 The unincorporated, master-planned community of Seaside, east of Miramar Beach, was established in 1981. This entry was posted in Florida and tagged Britton Hill, DeFuniak Springs, Miramar Beach, Seaside, The Truman Show, Walton County. Seaside was nice … reminded me of a creepy Chautauqua … creepiness factor only because of Truman Show probably.